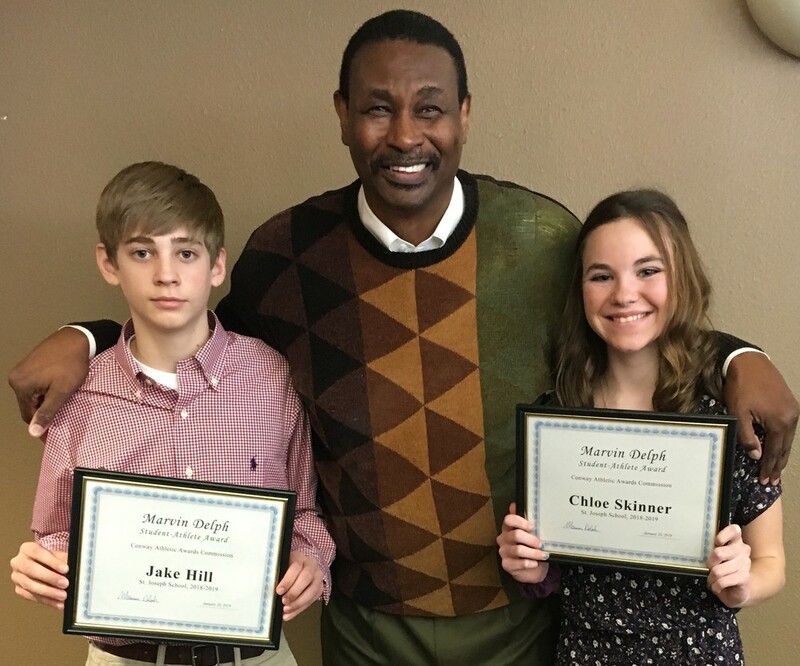 St. Joseph School 8th graders Jake Hill and Chloe Skinner were among the recipients of the Marvin Delph Student-Athletes Awards held January 20 at Central Baptist College in Conway. The awards are presented annually to local junior high students by the Conway Athletic Awards Commission. Both Hill and Skinner are members of their respective basketball teams and the National Junior Honor Society. Marvin Delph led Conway High Scho0l to State Championships in 1973-74 before helping guide the Arkansas Razorbacks to the NCAA Final Four in 1978.